If you have typing, research, and spreadsheet skills but are having a hard time finding a job, there is an answer. If you become a freelancer you can start work and earn money today as an administrative support freelancer. 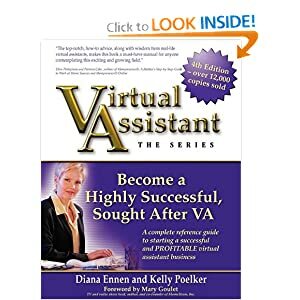 Also known as Virtual Assistants or VAs, freelance administrative support professionals just need some skills, a reliable internet connection and a computer to work from. Why Businesses Use Virtual Assistant's? So Why Be a Virtual Assistant? Where to Get Started as a Freelance Administrative Assistant? There are a number of websites that facilitate connecting employers with freelance contractors. Some are very unstructured like Craigslist where you are fully exposed to the risk the employer might be a fraud. Fiverr is another wild west type site with minimal controls and very transactional structure that does not encourage long-term relationships. Other sites have varying degrees of service that helps assure both parties that everything is fair and honestly run. My personal favorite is oDesk because it include a payment guarantee - an hour worked is an hour paid. The site also has over 300 odesk qualification tests that help both employers and freelancer figure out who is qualified to do which kinds of jobs. oDesk has hundreds of thousands of freelancers and employers that together create the "oconomy". The site takes a 10% cut of all transactions, which includes credit card fees it covers. There are literally thousand of administrative support and administrative assistant type jobs available every day on the site. Joining is free and it is reasonable to expect that you can find paid work with hours or at least days of setting up your profile, taking some qualification tests and applying for some administrative jobs. You can make becoming a virtual assistant a full-time gig or just a way to make some extra money on the side, it is up to you.